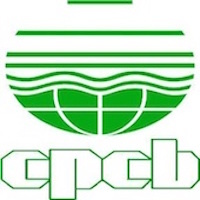 Online Application Details for Central Pollution Control Board CPCB Recruitment of 2 Research Associates and 24 Junior Research Fellow is given below. Application form and duly attested documents are to be sent to Senior Administrative Officer (Recruitment), Central Pollution Control Board, “Parivesh Bhawan”, East Arjun Nagar, Shahdara, Delhi-110032. In envelope super scribed with 'Application for the Post of Post Name'.